1. How a Washable Kraft Paper Wallet will look after 10 months in the back pocket of a man’s jeans. 2. 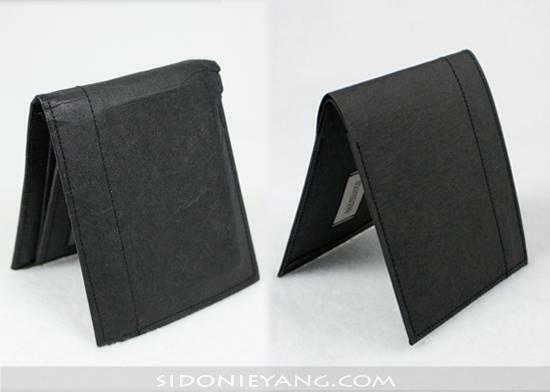 Tossing this ultra-thin, ultra-minimalist Washable Kraft Paper Wallet into the washing machine! 使用10個月後的舊短夾與全新的對照圖 10-month-old Washable Kraft Paper Wallet vs. brand new. No matter what material something is made out of, after a long period of use, it’s bound to get dirty, look old, and become wrinkled. Never fear, however, as this Washable Kraft Paper Wallet is different. If it gets dirty, it can be washed; if it gets wrinkly, it can be ironed. Just let it air-dry after a good wash and notice its again-youthful appearance. 1. 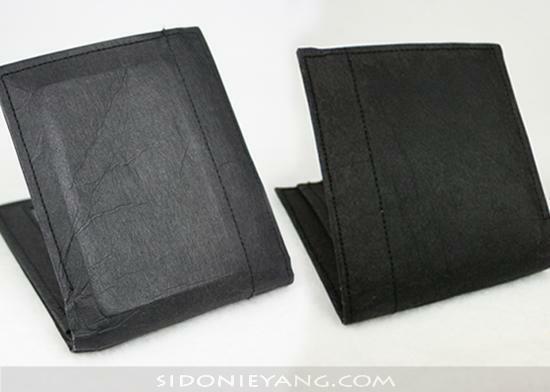 We used our wallet daily for a period of 10 months – it always rode in the back pocket of a pair of jeans. 2. Into the washing machine it went (regular wash cycle)! 3. Let air dry; no ironing or clothes dryer. 4. Finally, we took a picture of our used-and-washed wallet together with a brand-new wallet. 使用10個月後的舊紙短夾，丟入洗衣機清洗前與清洗後的對照圖 10-month-old Washable Kraft Paper wallet before a wash in a washing machine vs. after. 1. Unwashed 10-month-old Washable Kraft Paper Wallet vs. brand new (photo 1). Pros: Absolutely no lint balls or fuzzing. No rips or tears. No change in color and no thread breakage. Cons: A little wrinkly, a little older-looking, and you could see the imprints of where cards were kept. 2. 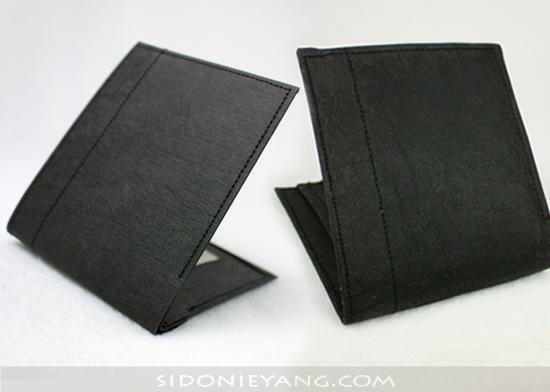 10-month-old Washable Kraft Paper Wallet, before and after wash in washing machine (photo 2) – absolutely no damage! Again, we photographed a brand-new wallet with a washed, 10-month-old wallet (photo 3); the imprint of the card is gone, and it almost seems like it’s new again. Almost! 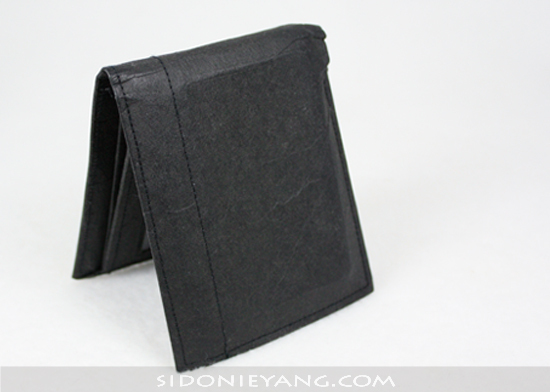 Basically, there is no problem at all sending this Washable Kraft Paper Wallet for a little wash in your machine. Many people do like the added character that a well-used wallet takes on… but, at least you have options with this! Washable Kraft Paper itself suffers none from being washed in a washing machine, but since the wallet is held together by thread, we’re still in the process of testing how many times a complete wallet can stand up to machine washes. At the moment, we still recommend that you merely soak your Washable Kraft Paper Wallet in water and then wash it gently by hand. In any case, we are totally satisfied with the results of our little test. This wallet really is awesome!